Tracy Jewelers has announced that the family business is being passed on to Third generation Sean Tracy. In 1950, Patrick Tracy and his wife Norann opened Tracy Jewelers in a small shop on Argonne in the Spokane Valley with the idea of providing quality jewelry and repair at honest prices. In 1972 second generation Leo Tracy took over the family business with a focus on his specialty, watchmaking and clock repair. Leo Tracy sold the business to his sister Maureen Tracy in 1995. Maureen and her husband Dave Hansen built a free standing building to house Tracy Jewelers in 2007. Since then, Maureen has transformed Tracy's from a shop focused mainly on selling and repairing watches into a jewelry store specializing in designer pieces, custom design and engagement sets while maintaining a full in house repair shop. Now in Tracy Jewelers' 65th year, 3rd generation Sean Tracy is taking over. Sean, Son of Leo Tracy worked as a jeweler in the 1990s. After a career in the hospitality industry he is returning to run the family business. A Central Valley High School graduate and former CV soccer coach, Sean has roots in the Spokane Valley. Sean recalls working with his grandfather sweeping the floors and learning the basics gluing pearls and repairing chains as a teenager. His training quickly progressed to jewelry restoration, repair and custom design. Along with his technical training he learned the family values of honesty, integrity and community involvement. Sean's aunt Maureen will remain on staff as a gemologist and AGS certified Appraiser. Sean looks forward to a future at Tracy Jewelers and adding a fourth generation, he and Christie's daughter Alexi Tracy. 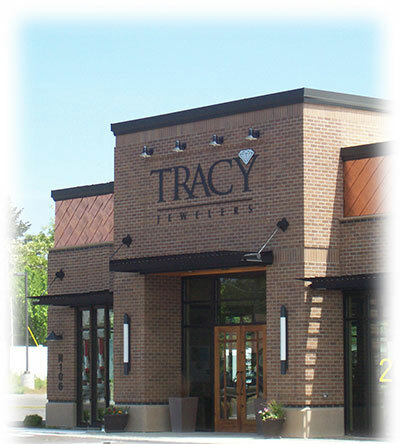 Tracy Jewelers is located at 106 N Evergreen Rd, Spokane Valley, the phone number is 509-893-2929 and the website is www.tracyjewelers.com. Associated Industries announces that Regence BlueShield and AsurisNW Health have been selected as the carriers of choice to serve the growing membership base of Associated Industries. Nearly 700 member companies and 22,000 lives are currently covered in the Association Health Plans administered by Associated Industries Management Services, a member of the Associated Industries family of companies. "We are excited to partner with Regence and Asuris to provide Associated Industries members a broad range of medical plan designed specifically for small employers," said Jim DeWalt, president and CEO of Associated Industries. "Both are highly respected medical benefits provider with a long history of serving companies in Washington." A range of health insurance plans specifically designed for small employers will be available to Associated Industries members. Regence and Asuris replace Moda Health, which announced plans to stop offering service in Washington State earlier this month. Since 1910, Associated Industries has helped more than 1,200 member organizations in the Inland Northwest and beyond thrive as responsible employers with safe, hospitable workplaces. It serves as an outsourced team or extension of its members' HR, employment law, safety, and health benefit administration groups to protect and support their workforces. As the business environment changes and becomes ever more complex and regulated, Associated Industries keeps its members informed, prepared, and adaptive so they can stay productive and effective. Learn more at www.aiin.com or connect via LinkedIn, Twitter, or Facebook. 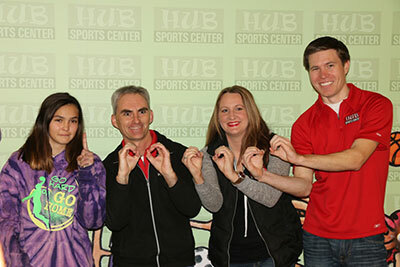 The HUB Sports Center in Liberty Lake, welcomed their one millionth patron this past Saturday morning. 12 year old Alexys Deatherage of Cheney, a student at Westwood Middle School was greeted with a big fanfare of balloons and noisemakers as well as a backpack full of prizes. Since tracking attendance through the past 8 years, the HUB calculated that the one millionth patron would walk through the door Saturday, November 21. Last year over 178,000 patrons attended events and programs at the HUB. For more information, visit hubsportscenter.org. Diana Carpenter has accepted the position of Development and Events Manager at Komen Eastern Washington. She brings a lot of event planning and development experience to the position, and one her first tasks will be a Year End Pledge/Give campaign. Shopping for Eastern gear will be a snap this holiday season at River Park Square in downtown Spokane, as you can see Santa and stop by the Eastern Washington University kiosk featuring the latest Eagle gear. While this is the fifth consecutive year of offering EWU merchandise downtown, this will be the first time the EWU Bookstore will be running the kiosk. Staff will run the kiosk now through Christmas Eve. The kiosk will be setup on the third level of the downtown mall, just across from the movie theater ticket booth and next to the food court. Eastern fans will find sweatshirts, t-shirts, infant items, jackets, hats, coffee mugs, key chains, flags, holiday ornaments and much more. 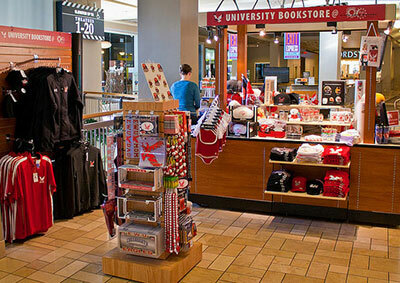 For more information about the University Bookstore visit www.ewu.edu/bookstore. At the recent Governor's Aerospace Summit attended by such industry giants as Boeing and Aviation Technical Services, Accra-Fab received one of two 'AFA Company of the Year' awards for its commitment to aerospace growth in Eastern Washington, and its further commitment to the environment. AFA provides workforce training programs and legislation support in order to meet the demands of the growing aerospace industry. According to Accra-Fab President, Greg Konkol, "We have made a substantial investment and commitment to building manufacturing and supply chain efficiencies that benefit the aerospace sector. It is an honor to be recognized for the efforts and accomplishments of the Accra-Fab team." Konkol has held a seat on the board of INWAC (Inland Northwest Aerospace Consortium) for the past several years and was elected to serve as the Chairman in the early spring of this year. The company has continued to expand their contract manufacturing capabilities along with building their special metals finishing, and expanding their supply chain in order to meet the specific needs of the aerospace industry. They have opened a satellite office in Seattle to provide better representation and a higher level of availability and engagement for aerospace customers. Incorporated since 1979 and based in Liberty Lake, Accra-Fab is a full service manufacturer, finisher and assembler of precision sheet metal and machined components that services aerospace and other industries by providing custom components and assemblies, engineered and manufactured to customer specifications. For further information go to accrafab.com. For the second year, Larry H. Miller Hyundai, Larry H. Miller Lexus, Larry H. Miller Downtown Toyota and Larry H. Miller Honda will present the Union Gospel Mission with a $5,000 donation to fund their annual City-Wide Thanksgiving Dinner, which takes place on Wednesday, November 25 from 4-6 pm at the Spokane Convention Center. The grant is through Larry H. Miller Charities, the nonprofit arm of Larry H. Miller Dealerships, which is funded largely through employee donations. Dealership general managers and employees will also help serve Thanksgiving dinner to more than 1,000 homeless and low-income families. In addition, now through November 25, the stores will donate either a turkey or a turkey dinner for every new vehicle purchased at their respective location. The Union Gospel Mission has worked to meet the needs of those who are less fortunate in Spokane for more than 60 years. The organization began as a soup kitchen in 1951 and has grown into a comprehensive ministry providing rescue, recovery and restoration, including three shelters, two thrift stores, an automotive business and a summer camp for underprivileged youth. 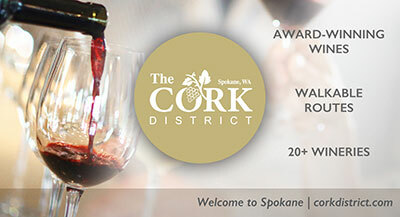 The Greater Spokane Chapter of the Public Relations Society of America (PRSA) has honored four exceptional leaders with 2015 Communication Leadership Awards for their overall excellence in communications and public relations in specific categories. 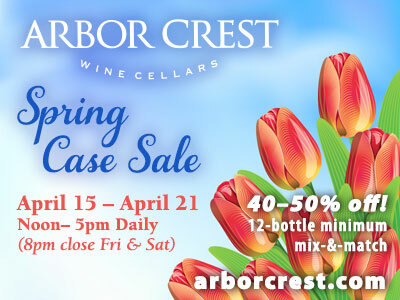 For more information go to www.prsaspokane.org. A new radio station launched last week in Coeur d'Alene, and is part of the KXLY Radio Group. The station is 92.5 Kootenai FM, and will be a simulcast with 1080 KVNI-AM. As of 11/17 KVNI-AM is no longer broadcasting ESPN sports. 92.5 Kootenai FM will be playing continuous Christmas Music (along with Idaho Vandals) through Christmas Day and then the station will change to Top 40 hits from the 80's and 90's. 92.5 Kootenai FM will also continue to air local High School football games and the University of Idaho Vandals. 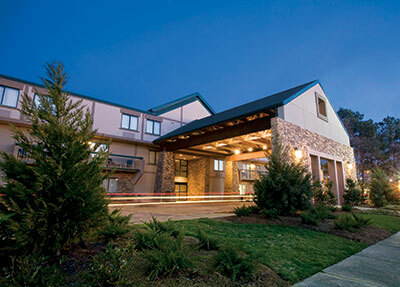 RLHC (Red Lion Hotels Corporation) has announced that the Cabot Lodge Jackson North, a Red Lion Hotel, in central Mississippi has officially joined the RLHC system. This hotel franchise conversion is the latest in the company's national expansion to the East Coast which includes the openings of Red Lion Hotel Harrisburg and Red Lion Inn & Suites Brooklyn, and announced openings for Atlanta airport and Orlando-Kissimmee Maingate. The Cabot Lodge Jackson North, a Red Lion Hotel, the property is located northeast of Jackson, has 200 guest rooms, an outdoor swimming pool, an exercise room, a business center, and just over 1,000 sq. ft. of event meeting space, and offers complimentary hot breakfast every morning, and complimentary cocktail service every evening. 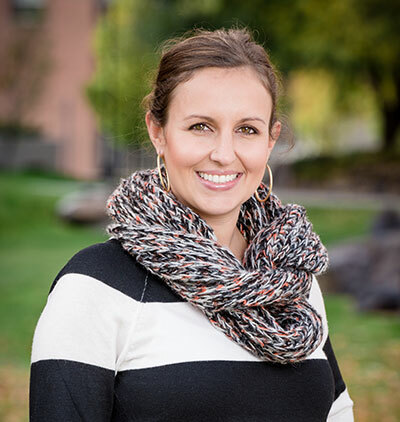 Gina Smith has rejoined SPVV Landscape Architects of Spokane, as a landscape designer. Smith, who previously served as a landscape designer, holds a LEED accreditation, and will be responsible for designing, estimating and managing the development of landscapes for governmental, commercial and educational commissions. Initial projects for which Smith will be providing landscape design services include Northwood Middle School for the Mead School District; Corbin Park renovations for the City of Spokane Parks and Recreation Department; and Franklin Elementary for Spokane Public Schools. Family Home Care was named as one of 13 companies honored at the 6th annual Washington Family Business Awards by Seattle Business magazine. Seattle Business magazine honored the impact and legacy of Washington state's top family-run companies at the 2015 Family Business Awards last week at Bell Harbor International Conference Center. Thirteen firms from around the state were honored for outstanding achievements in family business. Family Home Care won the top spot in the midsize firm category. Family Home Care provides personal in-home care to its clients in Eastern Washington and North Idaho. Family Home Care, established in 1966, is headquartered in Liberty Lake, and serves hundreds of clients in the Inland Northwest. "When you have a dream, you've got to grab it and never let go."